First of all we got amazing response, much much better than we anticipated, so thanks a lot for all your support. These facts and figures are derived from the sales we had and from our interactions with the fans there and their requests. If you are wondering what about charmander, then yes it got almost equal amount of love but only in Mumbai. Rest of the designs were also pretty well received but I guess they come into a very niche category and not everyone can spot or understand their importance. 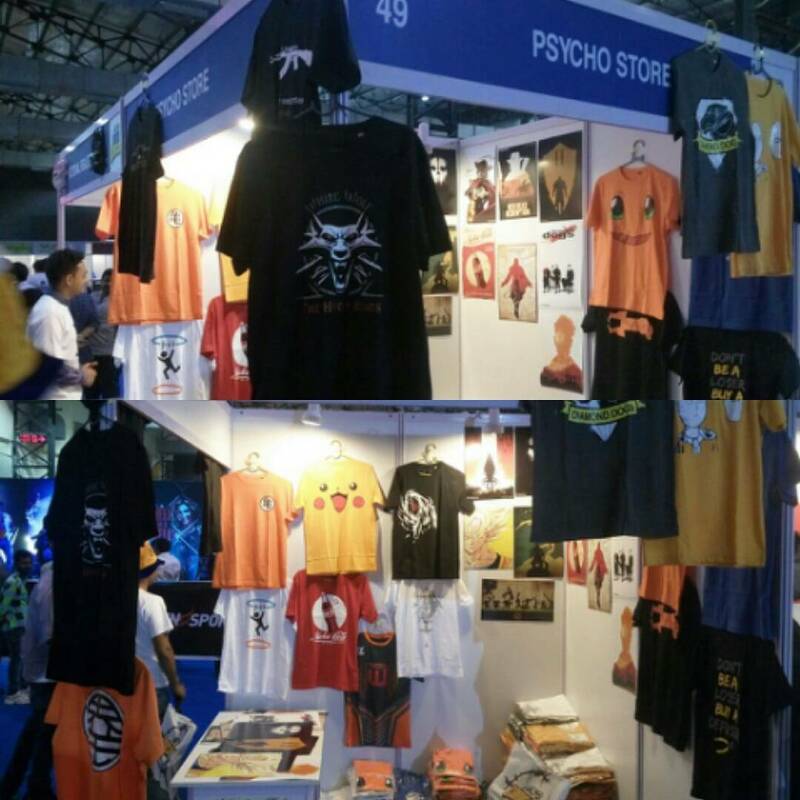 Although we didn’t have any dota related tees, but clearly Mumbai wins in the Dota section and Delhi is heavily influenced by CS:GO. We got a lot and lot of Dota reuqests in Mumbai while absolutely none in Delhi and saw the highest sales for our CS tees in Delhi only. Bangalore remains a neutral ground for both in our opinion. It’s a little tough to find the winner here, so we think its kind of a tie between Mumbai and Bangalore with the title leaning a bit more towards Bangalore. Apart from that the famous ones we got requests for were Tokyo Ghoul, Bleach and of course Attack On Titan. While the male ratio was pretty much the same everywhere, no surprises there. In the females department Mumbai girls clearly rock the stage, it was pretty damn clear that Mumbai has a lot more female population who is interested in anime stuff in particular. We heard the highest number of screams from girls after seeing our catalog in Mumbai only and definitely all of them were damn interested in the pika pika design. Bangalore had it’s fair share but it was still pretty less than Mumbai, while Delhi was ok-ish, not much girls there got enthusiastic about the stuff, at least not as much as Mumbai. So yes, Mumbai girls are clearly a lot more geeky than the rest. Though we had out of the world experience in all three events, but to sort them out in terms of sales, then Bangalore is the clear winner. The reason we felt for this was that Bangalore and Delhi had a more proportionate amount of sales mong different designs. Although the pareto’s law always applies, 80% of our sales comes from 20% of the designs. But the gap in the numbers were not that huge in Bangalore and Delhi. In the case of Mumbai, once the top designs went out of stock the sales got somewhat low. Also, if you are one of the crazy psychos who met us at the event and is also reading this now, give us a shout out in the comments below. We would love to hear from you awesome folks. As to our upcoming plans for 2017, it’s going to legen ‘wait for it’ dary. Gaming, programming, anime and bike rides. Thats sums up my life.